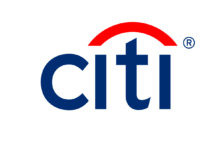 The exclusive Citi customer discount will commence on Tuesday 31st July 2018 at 9:00am (AEST) and will finish on Friday 10th August 2018 at 12:00am (AEST) unless sold out prior. The presale is available to Citi cardholders only and a Citi card must be used to complete the transaction. The number of Citi VIP tickets is limited for each event and the offer will end once the Citi allocation is sold out.